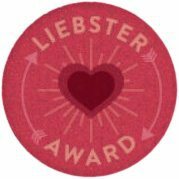 I would like to first take a second to thank the person who nominated me for the Liebster Award: Jackie Karlic of The Non Martha Momma. She is one of the few (okay, if I'm being honest) the only person to comment on my blog most of the time so thanks, Jackie! She is awesome and you should really check out her blog! These awards are a lot of fun and you get to meet and learn so much from all of your blogger friends! 3. 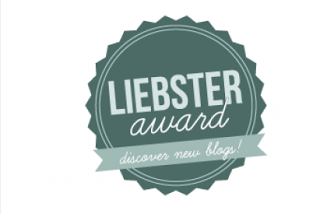 Choose 11 new bloggers to pass the award to and link them in your post. 1. Between the years of 1999 and 2013 I moved a total of 15 times. 2. My college degree and my job have absolutely nothing to do with each other. 3. My husband and I got married exactly 1 month before our 10 year 'dating' anniversary. 4. I recently started a Zumba class 2 nites a week and I LOVE it, I wish she had it every night... it is seriously that much fun! 5. I still sleep with a blanket that I've had since childhood, much to my husband's dismay. I know it's weird, but I seriously can't fall asleep without it. 6. I am obsessed with reading and books of all kinds... I get totally wrapped up and absorbed in the story and I'll freely admit I get a little depressed when I finish a particularly good book or series and miss the characters like they are real people that I actually know. I have to read every day and I don't go anywhere without my Kindle! 7. The only movies I've seen recently have been movies based on books I've read. I'm usually disappointed. 8. I am definitely NOT a morning person... I have such a hard time getting up in the mornings that I am late for work pretty much every day, and almost always late for church on Sunday. I know, it's horrible! 9. I love the smell of freshly cut grass in the summer and woodsmoke in the winter. 10. I like to watch TV shows way better than movies. 11. I love to travel. My husband and I purchased a vintage Shasta camper from the 1960's and hope to renovate it so we can travel around the country. It's my dream to visit all 50 states. 1. Last movie you saw in the theater? Beautiful Creatures Did you like it? Um, no. (see random fact # 7) I was disappointed. Very disappointed. Like it was really, horribly, terrible. I don't know why they bother to make a movie based on a book when they practically make up a whole new story anyway. Ugh! 4. Favorite type of food? Anything homecooked by my mom, mother-in-law, or Grandma. And Cheese Doodles. 5. Book you are reading right now or most recent book read? I am currently reading Beautiful Darkness, the 2nd book in the 'Beautiful Creatures' series. 8. Do you believe in ghosts/spirits? I believe there are things out there that I'll never hope to understand and that should probably be left alone... I've personally never seen a ghost, but I won't discount the possibility. 9. Oreos: do you like the cookie better or the cream? do you dunk in milk? I like to take my Oreos apart and eat the cookie side, then lick off the cream... I like the cream the best, and I do not dunk in milk... soggy cookies, blech! 1. What is your all time favorite TV show? 2. What is the worst job you've ever had? 3. What is the messiest room in your house? 5. What book are you reading right now or what's the most recent book you've read? Is it/was it any good? 7. If you won the lottery, what are the first 5 things you would do with your winnings? 8. What's the best vacation you've ever been on? 9. What's your biggest pet peeve? 10. If money was no object, and you could do anything for a living just for pure enjoyment, what would you do? Congrats girls, now it's your turn to respond (if you choose to). 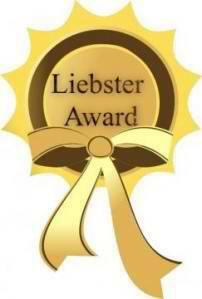 Thank you again Jackie for nominating me!